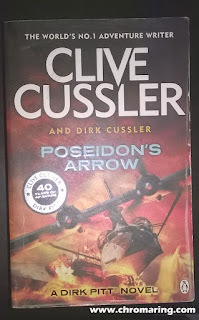 For me some of the books authored by Clive Cussler, Jack Higgins, Ken Follett and Dan Brown as and when the novel reaches the end I feel why not add another 50 or 100 pages to the story. This I felt when I finished reading Where Eagles Dare. I came to know about this novel when joined good reads, then I got the DVD watched it before reading the book. This year in the book exhibition I bought Alistair MacLean's suspense thriller "Where Eagles Dare"
A team of 6 British special forces headed by Major John Smith and one American Lieutenant Morris Schaffer were airdropped behind enemy lines to rescue an US Army General George Carnaby having secret with him about D-day plan, he who had crash landed and is in the custody of Germans in an impregnable fortress, an inaccessible eyrie set between mountain and sky, Schloss Adler. Hohenwerfen Castle it is been named as Schloss Adler in the movie & book Where Eagles Dare. Though the mission looks to be simple but the team also has double agents and on the way to Schloss Adler two members die mysteriously. There are many twists in the story, is Major Smith is really from British force or is he a German and double agent named Major Johann Schmidt? Is the crash landing of the American General is a drama? What so special about the General George Carnaby? and more questions arise when we dwell into the story. The humorous exchange of Smith and Schaffer all along the adventure (it made me laugh most of the time), the breathtaking action over the cable car, the superb plan of Smith to enter Schloss Adler, his psychological approach towards his adversaries are so beautiful to read. The book is below 300 pages and I feel one time reading is not enough. The only drawback is that the first 30 pages drags on and when the seven member team lands on Weisspitze the story picks up speed and it becomes a page turner. I read and enjoyed a couple of Alistair MacLean's books many years ago in my teens and remembering enjoying them, but I don't think I've read this one. Sounds great - I'll stick it on my list for next time I need a good adventure story - thanks! Thank you Leah for the comment. Sure you will like this book, much better than the movie. The Smith and Schaffer dialogs are good humour.